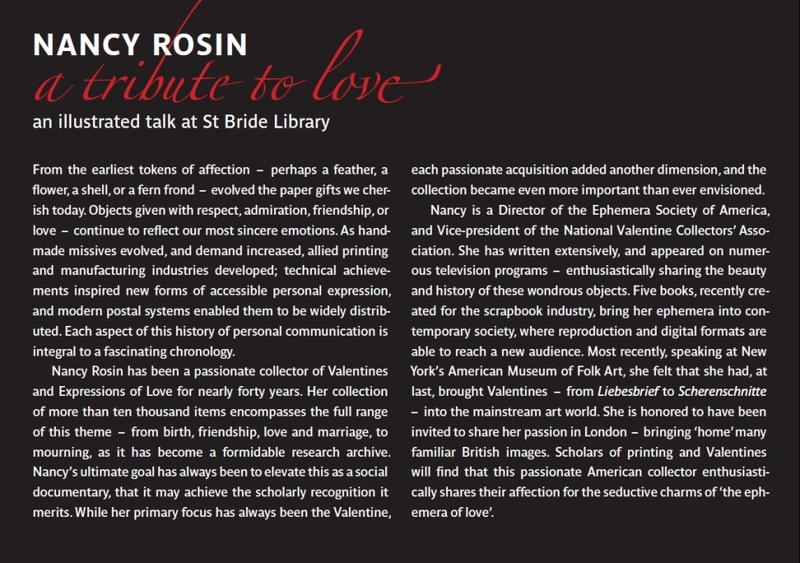 This is the beautiful advertising card created for a talk I gave January 31, 2008 at the St Bride Library in London, England. Located near Fleet Street, St Bride Library opened in 1895 and is the foremost library on printing history in the world. Its vast collection on type-related material numbers about 50,000 books. You can learn more about the Library at its website. 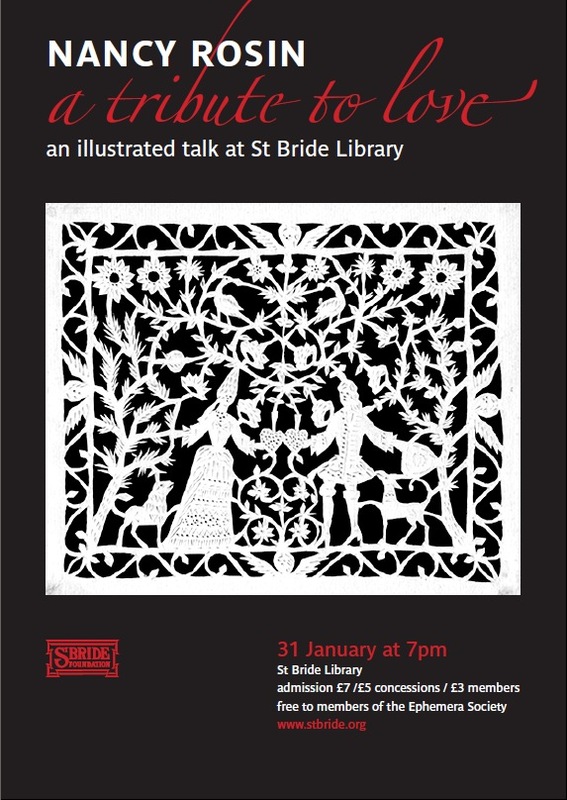 There I spoke about my forty years of collecting, before the Ephemera Society, the Printing History Society, and the Friends of St Bride's, at St Bride Library. You can download the original PDF file by clicking here (right-click on the link to save to your computer).